You are here: Home / Shop / Flower Essences / Hortensia / Ortensia Bianca / Hortensie / Hydrangea 10ml. Hortensia / Ortensia Bianca / Hortensie / Hydrangea 10ml. L´infiorescenza della Ortensia è fatta di tanti piccolissimi fiorellini ed insieme formano un´unità. Così saranno unificati anche molteplici e diverse emozioni. Se nella nostra vita ci troviamo occupati in tante cose, Ortensia, unendole, ci permette di percepirle come un´unica realtà. Ciò avviene perché, con l´aiuto del rimedio l´aura s´ingrandisce. Abbiamo la sensazione che intorno a noi vi è più spazio e questo ci permette di assegnare a tutte le cose il loro proprio posto, in modo tale che diventa possibile percepire tutto in modo più chiaro e nitido. Distendersi e adeguarsi, “raffreddarsi” e ordinare; porta calma nel caos. The Hortensia flower consists of a great many little flowers which together form a whole. The same applies to the state of mind with which it is associated. If there are a great many things in your life, whatever they are, Hortensia (Hydrangea) will combine them into a whole. This happens because your aura expands when you take the remedy. You feel the space around you getting bigger. This enables you to arrange everything in its place in your own way – and in such a way that things become clearer and more transparent. Hortensia (Hydrangea) connects the left and right hemispheres of your brain so if you have problems with reading or numbers, this will make it easier for you to study and improve your concentration Relaxation, grounding and cooling Opening the throat chakra Overarching makes chaos back to rest Learning is easier and more concentrated Experiences: – Very colourful feeling and experience. Blue with a red & yellow spot, and a bit of bright green. Experiences singing and joyfulness. The stuffiness disappears. Opens your eyes and removes the blinkers. Eyesight gets sharper. Tiredness and dizziness disappear. Relaxation, groundedness and refreshment. Refreshment in mental, emotional and physical sense. Connects heart chakra and throat chakra. Opens up the throat chakra. This remedy helps you stay close to yourself. Also an aura protector. – For people who are highly or excessively sensitive to outside influences and who become or threaten to become violent and shut themselves off emotionally. Autistic / highly gifted people. – Improves control or emotional distribution of both physical/emotional and spiritual occurrences. Cheerful, Airy, Freedom. Overarching, restores peace out of chaos. – Learning and concentration improve. – Hortensia gives you a right to exist. The essence of who you are and the freedom to express it in the world we live in. So there´s nothing holding you back any more. 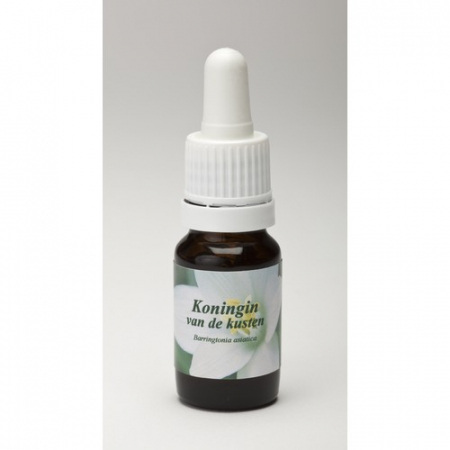 Koningin van de kusten / Cappello del vescovo / Königin der Küsten / Queen of the coasts 10ml. 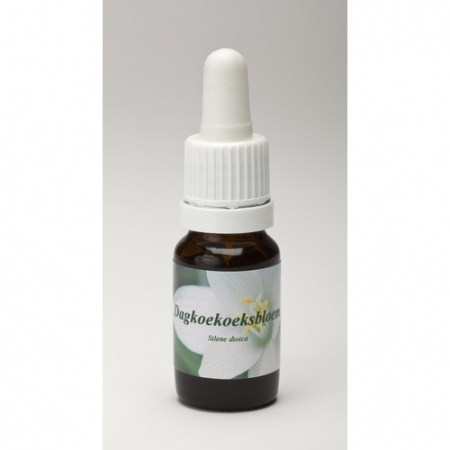 Dagkoekoeksbloem / Licnide / Tagkuckucksblume / Red Campion 10ml. Het Kind / Il Bambino / Das Kind / The Child 10ml. 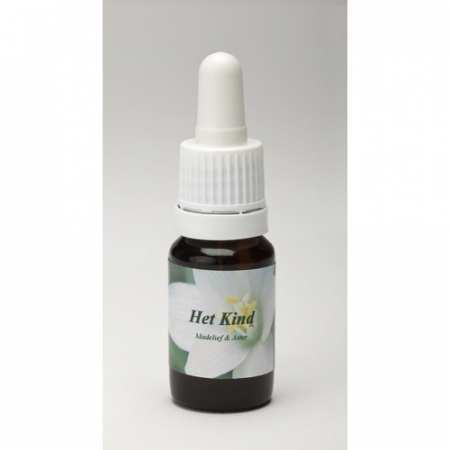 Het Kind / Il Bambino / Das Kind / The Child 10ml. Hosta / Hosta / Herzlilie / Hosta 10ml.